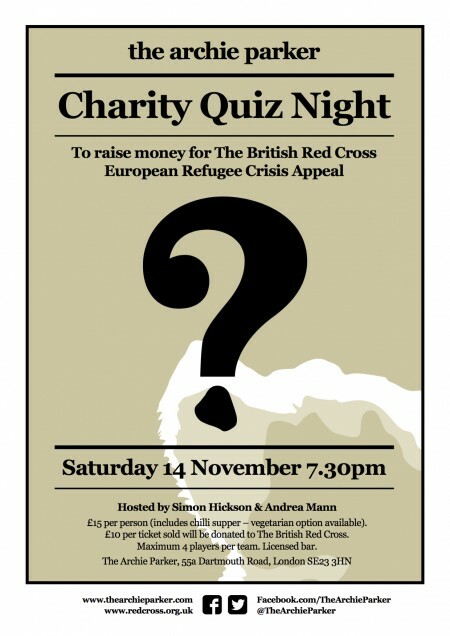 Want to have fun, improve your general knowledge AND raise money for a good cause? Of course you do. You’re a good person. So why not come along to the charity quiz night that I’m co-hosting with Simon Hickson (of TV’s Trev And Simon fame) on Saturday 14 November at the lovely Archie Parker cafe in Forest Hill, London SE23.